Andy Walker and Ian Crocker take you through the weekend's Scottish Premiership fixtures. 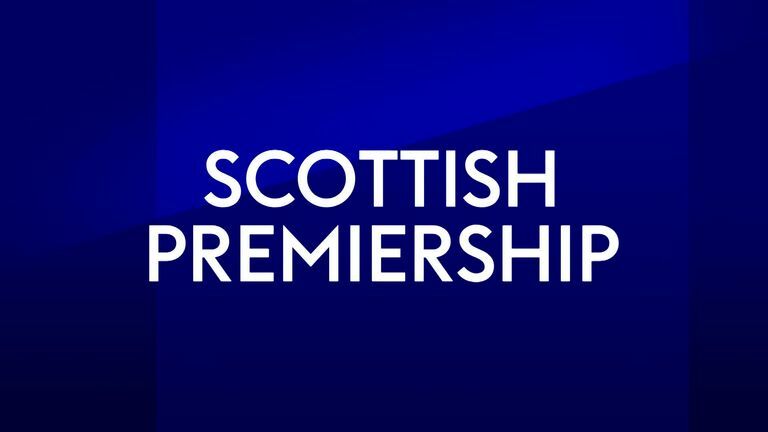 Sky Sports Scotland's commentary team of Andy Walker and Ian Crocker give their thoughts ahead of the weekend's Premiership fixtures. Highlights from Saturday's action in the Scottish Premiership. Aberdeen have failed to win their last three Scottish Premiership games against Hibernian (D2 L1), having gone nine matches unbeaten against Hibs in the top-flight prior to this run (W7 D2). Hibernian's last away victory against Aberdeen in the Scottish Premiership came back in May 2012, (2-1). Since then, Hibs have drawn two and lost three of their last five such visits to the Pittodrie Stadium, failing to score in three of those games. Aberdeen will be looking to win their fourth consecutive home league game for the first time since April 2017 (eight in a row). Hibernian have failed to score in back-to-back league games (D1 L1) - Hibs last went on a longer run without a goal in the Scottish Premiership in April 2014 (four in a row). Florian Kamberi has been directly involved in seven goals from six starts in the Scottish Premiership for Hibernian this season (4 goals, 3 assists). Lewis Ferguson: Shining of late and crucial goals at key times. Florian Kamberi: Back from a ban but can he trouble Michael Devlin and Scott McKenna? Bruce Anderson: Youngster showing he can contribute this season with goals against Rangers and Kilmarnock. Lewis Stevenson: Quietly goes about putting in consistently good performances. None of the previous 11 Scottish Premiership meetings between Dundee and St Mirren have ended in a draw (five wins for Dundee and six wins for St Mirren). Dundee will face St Mirren for the second time this season in the Scottish Premiership and will be looking to avoid back-to-back defeats against them, having lost at St Mirren Park on matchday one of this season. Dundee have lost 12 of their last 13 league games (W1) and have lost each of their last four games without scoring. The last side in the Scottish Premiership to lose five consecutive league games without scoring was opponents St Mirren in April 2015. St Mirren have lost 10 of their last 11 league games (D1), failing to score in six of their last eight games in the competition (L7). Despite scoring just two league goals so far this campaign, no player has scored a higher percentage of their side's goals than St Mirren's Daniel Mullen (40%). Martin Woods: At least Jim McIntyre knows what he's getting. Ian McShane: Rare start against Rangers, his set-pieces could prove pivotal. Jack Hamilton: Huge game for both clubs, goalkeepers have to be at their best. Craig Samson: Has the character to bounce back after losing a couple of cheap goals recently. Since a 4-0 victory for Hearts against Kilmarnock in December 2016, they have failed to net more than a single goal in any of their last six Scottish Premiership games against Killie (W2 D2 L2). Kilmarnock are unbeaten in their last two visits to Hearts in the Scottish Premiership (W1 D1), however, they last kept a clean sheet at Tynecastle Park in a 4-0 victory back in December 2013, conceding in each of their last six (13 goals in total). Hearts have failed to score in their last two league games (D1 L1), last failing to score in three consecutive Scottish Premiership games in December 2017. Kilmarnock have lost just one of their last seven league games on the road (W3 D3), including a 0-0 draw against Celtic at Celtic Park and a 1-1 draw against Rangers at Ibrox in their last away game. The absent Steven Naismith has been directly involved in 53% of Hearts' 19 Scottish Premiership goals so far this campaign (7 goals, 3 assists) - no player has had a hand in a higher percentage of their side's goals. Harry Cochrane: Not much action this season but we know what he can do. Kris Boyd: Hopefully he will have a different celebration in mind! Zdenek Zlamal: Hopefully he has recovered after the shameful personal attack on him in the Edinburgh derby. Kris Boyd: Anyone surprised he was back on the goal trail last weekend? St Johnstone will be looking to extend their winning run against Hamilton in the Scottish Premiership to six games - their current run of five is their longest run of victories against a single opponent in the competition. Hamilton's last away victory against St Johnstone in the top-flight came back in January 2015 (1-0) - since, the Accies have drawn one and lost four of their last five visits to McDiarmid Park, failing to score in three of the last four. St Johnstone have won four games in a row without conceding a goal in the Scottish Premiership - the last side to go on a longer winning run without conceding a goal was Celtic in November 2016 (run of six victories without conceding a single goal). Hamilton will be looking to win back to back Scottish Premiership games for the first time since March following their 1-0 victory against Livingston last time out. Six of St Johnstone's last seven league goals have been scored in the 60th minute or later. Joe Shaugnessy: Consistent performances at the back and a midweek winner! James Keatings: Capable of making things happen for Accies. Danny Swanson: I doubt he will dwell on his penalty miss last weekend, St Johnstone's third successive failure! James Keatings: Hamilton continually up against it but Keatings knows all about this club. Livingston have never beaten Celtic in the Scottish Premiership, losing each of their last 16 games against them in the competition since drawing 0-0 back in August 2001. Celtic have scored two or more goals in each of their last seven visits to Livingston in the Scottish Premiership (22 goals in total), keeping five clean sheets in their last six games against them on the road. Livingston have lost back-to-back league games without scoring, having previously gone eight games without defeat in the Scottish Premiership (W5 D3). Celtic have won each of their last five league games, scoring four or more goals in their last four games (20 goals in total). They are the only side to have won five consecutive Scottish Premiership games scoring four of more goals in each of those games, doing so back in November 2003. Of players to have scored at least three league goals so far this campaign, Celtic's Odsonne Edouard has the best minutes per goal ratio (7 goals scored - one goal every 86 minutes). Declan Gallagher: Celtic are in the mood but they have got to get past Livingston's back three first! Ryan Christie: He has waited a while for a week like this in Celtic colours. Dolly Menga: Scored the winner against Rangers, he couldn't do it against Celtic, could he? Tom Rogic: James Forrest won October Player of the Month; Rogic ran him close with his goals and assists. Rangers are unbeaten in 41 Scottish Premiership games against Motherwell (W29 D12) - the longest unbeaten run one side has had over another in the competition. Motherwell have failed to score in four of their last six visits to Ibrox in the top-flight (D2 L4), scoring just two goals in total during this period. Rangers are enjoying an eight-game unbeaten run at Ibrox in the league (W7 D1) - the Gers last went longer without defeat on home soil in the competition between March and December 2016 (run of 14). Motherwell have won back-to-back league games for the first time this season and will be aiming for three consecutive victories in the Scottish Premiership for the first time since October 2017. Rangers have had 10 different goal scorers in the Scottish Premiership this season - no side has had more. Alfredo Morelos: A man in the mood for goals. David Turnbull: Two goals in two games for one of Motherwell's own. He sure can hit them! Ovie Ejaria: Could he become the consistent goal threat Rangers need from midfield? Gael Bigirimana: Did not play for Rangers in his loan spell there and will be extra keen to shine for Motherwell.